Our two year old home in Dunedin has flickering LED lights under the kitchen cabinets. Any ideas? Yes, you probably have mechanical connections at the ends. Try this, when the LEDs start flickering apply some finger pressure at the end where the wires connect, if the flickering stops you have found your problem. Now the bad news, I do not have a fix for this short of removing the faulty connector, and soldering the wires. 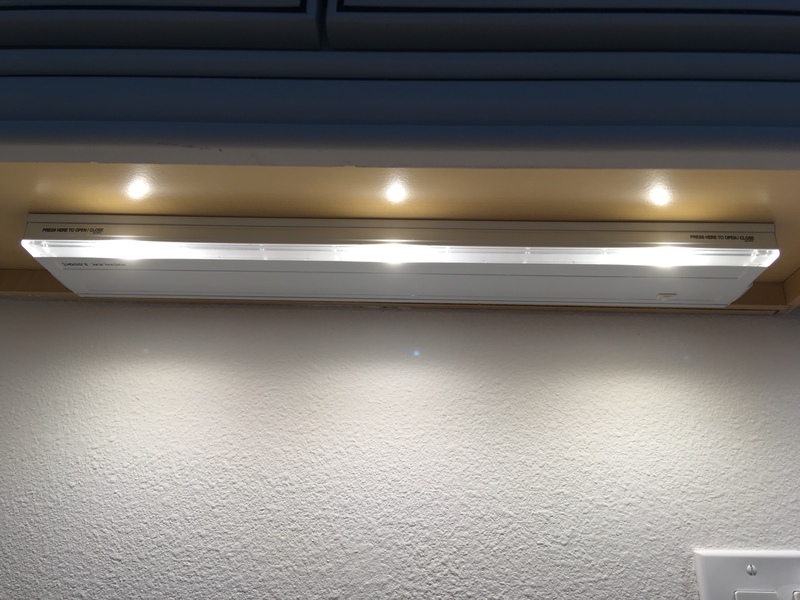 I have installed several sets of under and over cabinet LED strips, and I always solder the connections, I do not like the mechanical connections. Call Warranty...anyhow. You might just be surprised how helpful they are, even if your time has expired for free fixes. If installed by The Villages: Chances are they are not LEDs but rather "Malibu" incandescent bulbs. found on line or in the outdoor landscaping lighting area at lowes or home depot. The fixtures are: cheap, inefficient and not very bright. I just replaced mine with LEDs. The entire fixture. To check hold your hand next to them are they hot like an old fashioned light bulb? Bingo! Edit to add: those cheap Malibu lights use 180 watts, the LEDs use 36 watts and don't burn out! Last edited by Toymeister; 11-13-2017 at 01:27 PM. Our under cabinet lighting is six years old and not one bulb has burned out. I am satisfied and don't agree about cheap. They use good recognizable brands like Kohler and Kichler. Last edited by graciegirl; 11-13-2017 at 01:47 PM. Last edited by Wiotte; 11-13-2017 at 02:31 PM. Kohler and kichler do not make light fixtures. They make plumbing fixtures. I can assure you the villages installed fixtures were quite cheap. Don't be ridiculous and defend every aspect of your home simply because it is in the villages. The reason the bulbs do not burn out is two fold, they are 12 volt and the are dc, the mitigating factor is you may not be using them much. None of this excuses their use in newer construction when inexpensive LEDs are available. That said they will burn out and those bulbs are difficult to find. That bank of lights was the second largest consumer of lighting energy in my home. Wasteful! Last edited by Toymeister; 11-13-2017 at 11:04 PM.